On June 1, the minimum wage in British Columbia will increase from $11.35 to $12.65 per hour—the first in a series of hikes on route to $15.20 in 2021. That’s a 34 per cent increase in three years. Despite claims from Premier John Horgan and others, raising the minimum wage is the wrong way to help B.C.’s working poor. Fortunately, there’s a better and more effective policy available that warrants serious consideration. More on that in a moment. To understand why the minimum wage is a bad way to fight poverty, consider a basic fact: the overwhelming majority of minimum wage earners in B.C. are not even poor. In fact, 84.3 per cent of B.C. minimum wage earners are not part of a low-income family, as defined by Statistics Canada’s low income cut-off. This sounds counterintuitive, but makes sense once you realize that minimum wage earners tend not to be the primary or sole earners in their families. Instead, they are mostly inexperienced teenagers or young adults working part time while in school, living at home with parents. In B.C., 55.7 per cent of all minimum wage earners are between the ages of 15 and 24, and more than three-quarters of these young people live with family. It’s a similar story for many older minimum wage earners in B.C.—22.2 per cent have an employed spouse that typically earns more than the minimum wage or is self-employed. Thankfully, the image often portrayed of a single parent struggling to support a family on the minimum wage is quite rare. In reality, only 2.0 per cent of minimum wage earners in Canada are single parents with young kids. So, the evidence clearly shows that raising the minimum wage does not effectively target benefits to the group we should all want to help—the working poor. But there’s another problem. 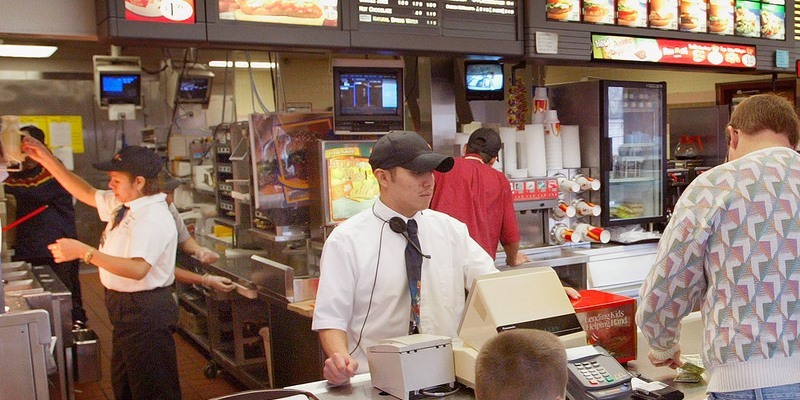 A higher minimum wage makes it harder for young and inexperienced workers to find work. Just as consumers purchase less of something if its price rises (with no corresponding increase in quality), employers often respond to minimum wage hikes by purchasing less labour. The consensus finding in Canadian academic research is that minimum wage increases predominantly reduce employment for young people. Typically, a 10 per cent increase in the minimum wage results in a three per cent to six per cent reduction in youth employment. In addition to reducing and/or not creating new jobs, employers respond to minimum wage increases in other ways—for instance, by cutting back hours or fringe benefits such as on-the-job training. They may also shift their production inputs towards more capital, perhaps automating job functions. Or pass along the increased labour costs to their customers in the form of higher prices—perversely hurting the poor, who are least able to absorb the higher costs. Fortunately, there’s a better policy option available to help the working poor that provides targeted benefits to those in need without producing the same negative economic consequences. A work-based subsidy, in the vein of the Canada Workers Benefit, a federal program, is worthy of consideration. Under such a program, the government tops up the wages of workers with household incomes below a determined threshold, through a cash subsidy. The crucial advantage of a work-based subsidy is that it more efficiently increases the income of the working poor without making it harder for employers to hire less-skilled workers. If the Horgan government truly wants to help B.C.’s working poor, it should heed the lessons from evidence-based research, abandon its planned minimum wage increases, and instead consider a work-based subsidy program that actually targets benefits to those in need.